The team is only hours away. It takes a real special team to travel so far away from home to one of the remote places on the planet and then hand out 75K QSO’s to “The Deserving”. Imagine being away from home that long traveling through some of the roughest seas on this planet. 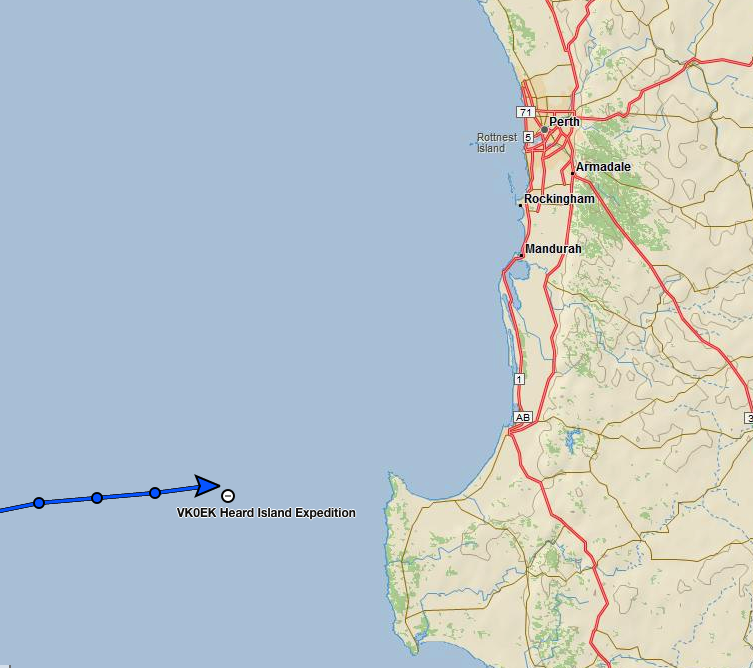 It looks like they are heading for Bunbury rather than Perth?